Smacksy Saturday Photo: The Call is Coming From INSIDE the House - . You guys. 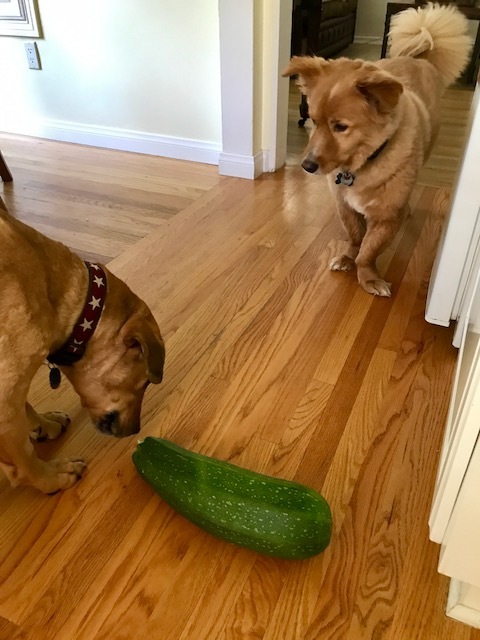 It's not like I don't check the zucchini plant everyday. I do. This whopper came up OVERNIGHT. For the photo, I put it next to the dogs for scale. To be most accurate, I'll just say it's roughly the size of our Prius. Lisa! That zucchini! You sure grow big babies in your house.